As a Deontay Wilder and Tyson Fury rematch gets closer to reality, the WBC ordered for an interim heavyweight title fight to be made between mandatory challenger Dominic Breazeale and silver heavyweight champion Dillian Whyte. The decision was made on Tuesday by the WBC’s Board of Governors, who voted unanimously to make the fight later this year. If there is no agreement made by either side, a purse bid will be ordered at the WBC’s Mexico City headquarters on March 19th. Whyte was in-line to face unified heavyweight champion Anthony Joshua on April 13th at Wembley Stadium in London, but after what Whyte felt was a “low-ball” deal, Joshua and promoter Eddie Hearn would focus their attention towards Brooklyn born Jarrell Miller, who is now set to face Joshua on June 1st at Madison Square Garden in New York City. Breazeale has been in position as Wilder’s “mandatory” opponent for sometime, but has been put on the back-burner by Wilder for fights against Luis Ortiz and now the two fights against Fury. 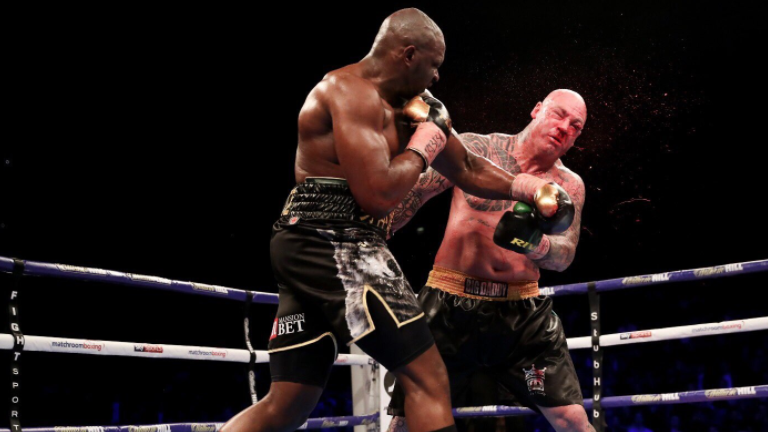 Breazeale was last seen in the ring in late 2018 against Carlos Negron, where he knocked out Negron in the 9th round, while Whyte knocked out Dereck Chisora in the 11th round of their December clash at the O2 Arena in London. Reacting to the news, Whyte took to Twitter to confirm the showdown.